Looking for a fun winter science activity for kids? 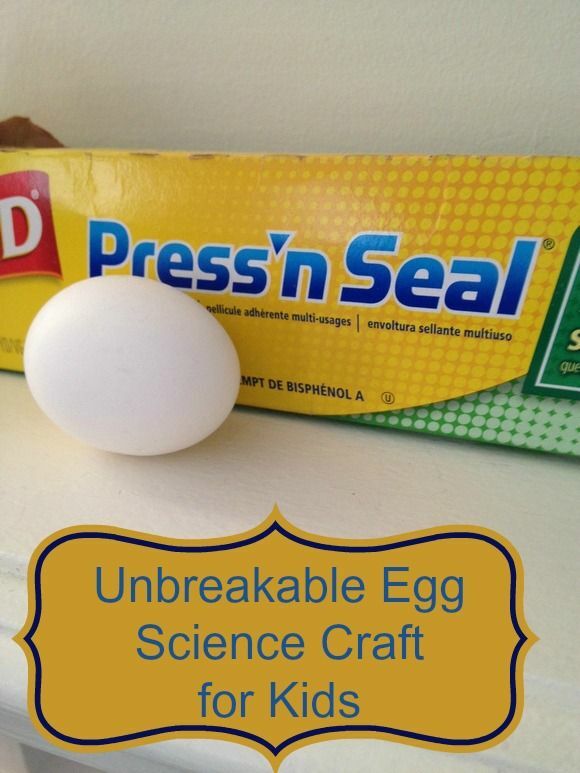 Amaze them with this unbreakable egg! This activity is so easy to do, it only requires two supplies! Have you ever broke an egg before? What happened? Chances are you had a yolk filled mess on your hands. Well what if you could make an egg unbreakable? It is easier, and more possible than you may think! If you are looking for the perfect science activity for kids, this one fits the bill. With just a few supplies you already have around your kitchen, you can in fact make a fresh egg unbreakable. Take a look below at how to enjoy this simple science activity for kids in your own house, as they will love creating an unbreakable egg! That’s it! When is the last time you were able to create a science experiment for kids using just two supplies? It does not matter what size the eggs are, nor does it matter what brand the cling wrap is. Just as long as you have eggs and cling wrap you are ready to roll. 1. Begin by talking about why eggs are so fragile. Let children feel the eggs and make guesses as to why they break so easy. Explain to them how the shells are thin and fragile, making the eggs easily breakable. 2. Talk about some ways that eggs can be protected. Could you wrap them in bubble wrap? Would tissue paper protect it? How does an egg carton protect the eggs and keep them from breaking? Talk about how eggs can be protected and give some examples. 3. Now you can complete the experiment. Wrap the cling wrap around the egg so it has several layers. 4. Instruct children to them place the egg in their palm and wrap their fingers around it as much as possible. 5. Squeeze the egg as hard as possible. You will notice that the egg does not break! 6. Now remove the cling from the egg. You can try the experiment again, however this time prepared to be messy! So how does this work? Egg shells are very thin and fragile, but the shape of the egg itself helps protect it. When you apply pressure evenly all around the egg, it will not break. When you hold the egg in your hands and press it applying pressure to the entire egg, it is able to protect itself. When an egg is dropped and pressure is only applied to one point of the egg, it will shatter. 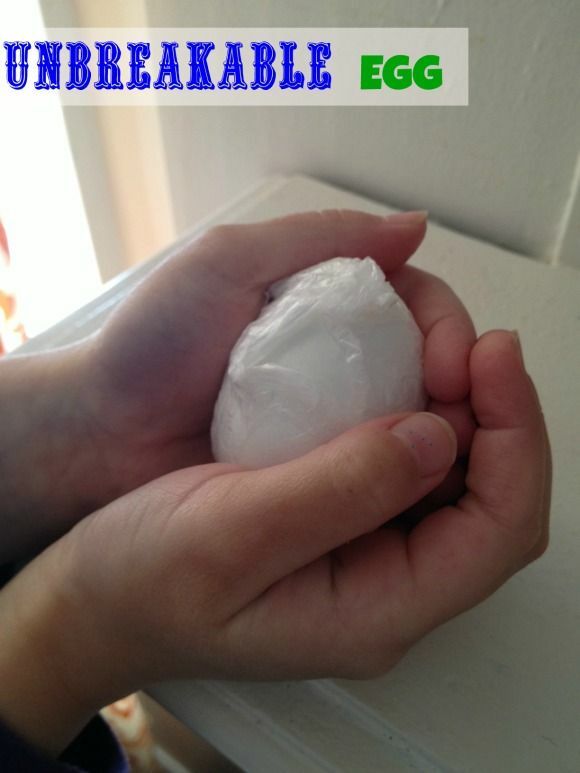 You can try this winter science activity for kids several times and see if you are able to break the egg using the cling wrap method suggested. Chances are as long as pressure is applied evenly, you will not be able to shatter the egg. So there you have it! This winter science activity for kids is so simple and inexpensive and sure to teach them something new. Give it a try and see what fun it can be! Looking for more fun science activities that you can do year round? Check out how to create mystery messages with invisible ink or how to blow up balloons with gas! My oldest son has done this one multiple times. Fun! How cool, you learn something everyday. My 5 year old will love this. My kids will get a kick out of this little experiment. It’s very easy and will help them understand how the chicken can sit on their eggs and not break them.